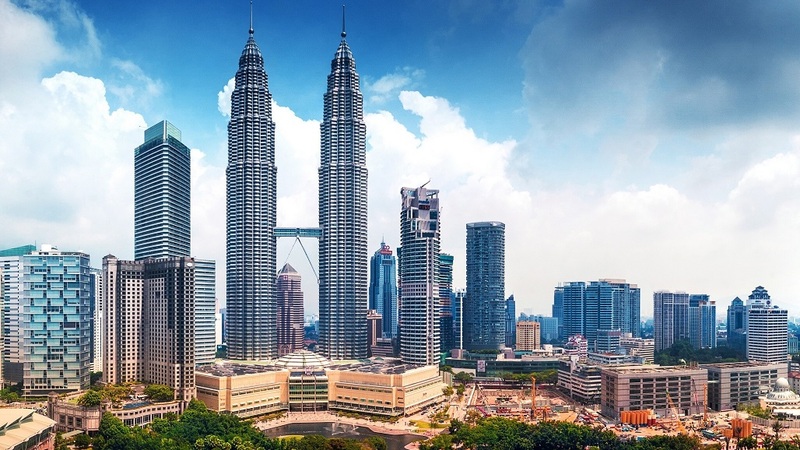 Kuala Lumpur – The agenda, the syllabus and the speakers for the ABA & Maybank Short-Term Visiting Program that will be held in Kuala Lumpur on October 18-19, 2018 are now available for consultation. 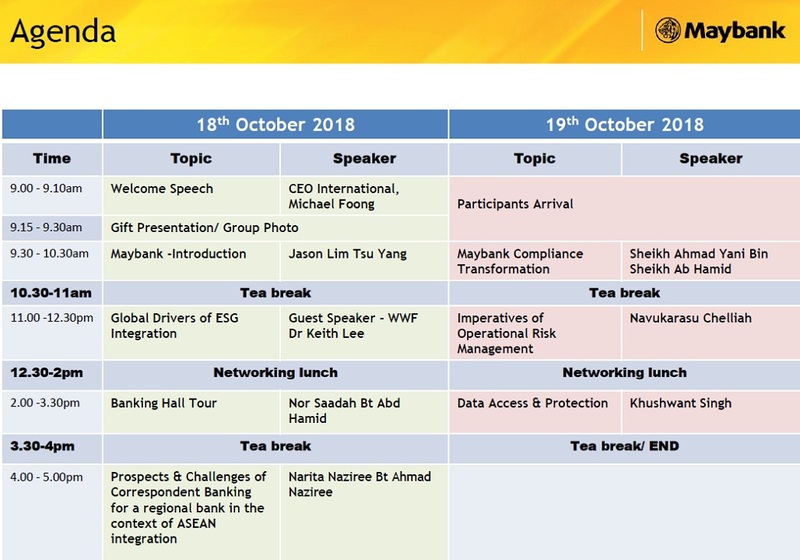 Maybank’s program for October 18-19, 2018 will cover (1) Maybank’s Introduction, (2) Global drivers of ESG integration, (3) Banking Hall Tour, (4) Prospects & Challenges of Correspondent Banking for a regional bank in the context of ASEAN integration, (5) Maybank Compliance Transformation, (6) Imperatives of Operational Risk Management, (7) Data Access & Protection. 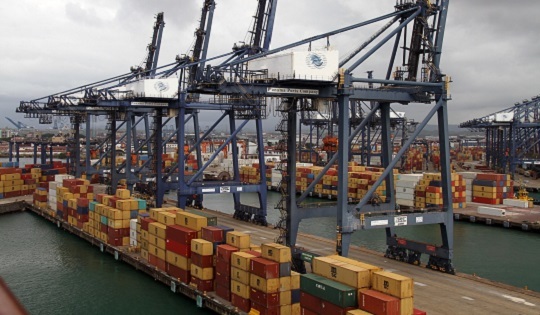 The latest agenda can be viewed at the end of this article. 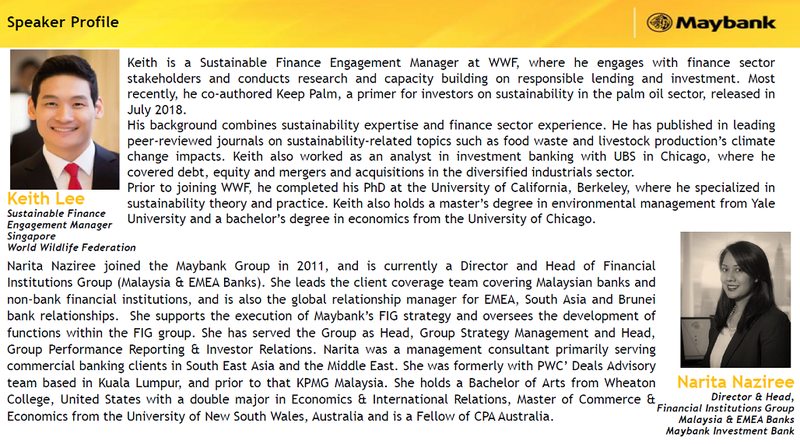 The primary objective of ABA’s short-term visiting program is to provide member banks the opportunity to study and undergo training on specific aspects of the operations and facilities of an advanced banking organization such as Maybank. 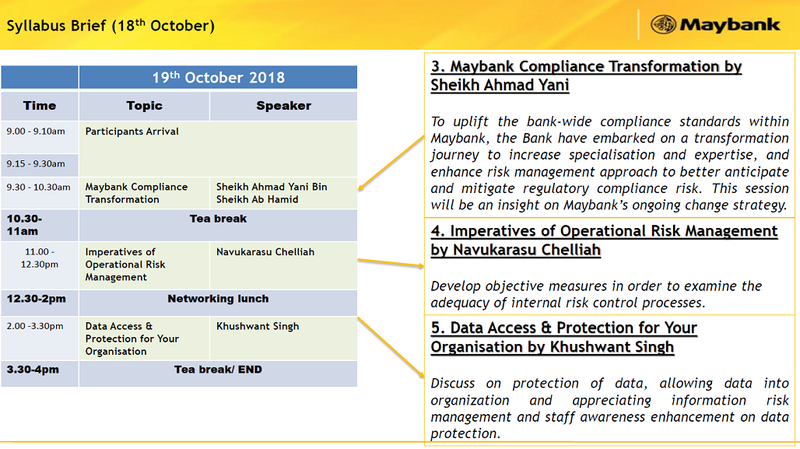 The October 18-19, 2018 agenda follows highly successful and well-received Maybank’s programs held in 2014, 2015 and 2017. 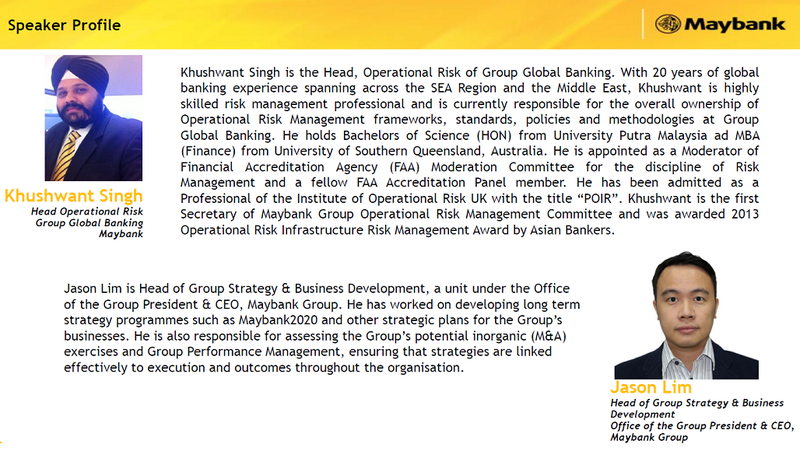 ABA encourages bank members to take advantage of this opportunity to learn from Maybank’s experience in several key banking operations. There is no participation fee. However, participants shall cover their airfare and hotel accommodation. 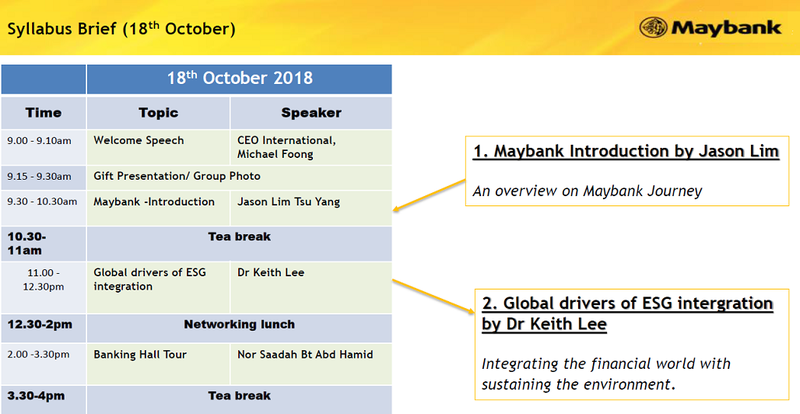 The two-day Maybank Program will take place at the Maybank Headquarters, which is located at Menara Maybank, 100 Jalan Tun Perak, 50050 Kuala Lumpur. Maybank has provided us with 2 hotel options: Swiss Garden Hotel or Elements by Westin. Please take a look and decide which one do you prefer. Participants should download the Confirmation Form HERE and return it by fax to (886 2) 2760 7569, or e-mail to programs@aba.org.tw before October 4, 2018. Register now because there is a limited amount of seats.